As readers no doubt know, we’ve been working on the database for some years. Some have asked us why it has taken so long — can’t we just pull retractions from existing databases like PubMed, or publishers’ sites? The answer is resoundingly no. All of those databases are missing retractions, whether by design or because notices aren’t transmitted well. That’s why we found more than 18,000, far more than you’ll find elsewhere. And we also went through each one and assigned it a reason, based on a detailed taxonomy we developed over eight years of reporting on retractions. Now that you know how much work the database is, please consider thanking Alison Abritis, our researcher, who has done the lion’s share of the work on this project. She had some help — see below — but without Alison’s expertise and painstaking efforts, we wouldn’t have a database. And true to form, Alison has created an exhaustive user’s guide that we would strongly urge you to review if you’re planning to use the database for anything other than simple searches. And if you find a retraction that’s not yet in our database, please let us know by submitting it here. To answer one frequently asked question: Yes, we plan an API. But that will take additional resources, as will keeping the database up to date. In the meantime, if you’re a scholar who has a research project that you’d like to use the data for, contact us at team@retractionwatch.com. The John D. and Catherine T. MacArthur Foundation and the Laura and John Arnold Foundation funded this work directly. 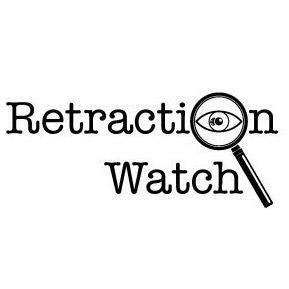 Back in 2014, when Retraction Watch was just a four-year-old blog by two journalists with day jobs, it was the foresight of these two foundations that gave us the idea to create The Center For Scientific Integrity. Just as important were the generous grants which they have provided us to do this work. The Leona B. and Harry M. Helmsley Trust, whose support has allowed us to create a strategic plan for The Center, including the database, and to continue our other work. Many — at this point, hundreds — of individual donors who have kept us going over the years. We’re deeply grateful. A small army of students, librarians and others who entered thousands of retractions by hand. Jason Rollins, formerly of Clarivate Analytics, who helped us think through the structure and taxonomy of our database, and how it might be integrated with other resources. Brooke Rosenzweig, formerly of the Helmsley Trust, who worked with us on sustainability plans for the database. And of course, you, dear readers, without which none of this would have been possible. Your support, encouragement, story tips and more have kept us going. While this is, as we’ve noted, a big day for us, our work continues. The database is updated every day, and our reporting and writing also go on. Now go check out the package of stories in Science, and the database. Congrats to Ivan, Adam and the whole RW team. It’s awesome to see these notices organized in this manner. Keep up the great work! This is excellent, many thanks. Might I kindly suggest sharing a data dump, e.g. on GitHub, while the API is in progress? You may find a community will spring up to provide tools once the data is available. Would like to point out how cleanly the database works in conjunction with the PubPeer browser plug-in, if one has it installed. Some sites’ formatting sometimes seems to get a little screwed up by the insertion of PubPeer links, but in this case they appear very nicely in the data column underneath the DOI without breaking the table. An excellent resource — well done.